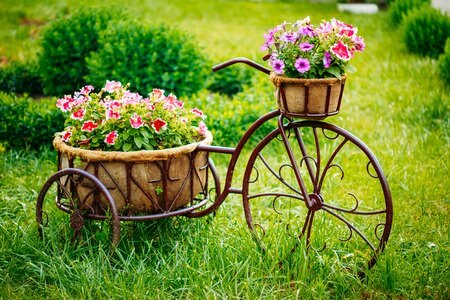 Creating Your Own Urban Oasis in Maine - Flaggship Landscaping, Inc. When we think of neighborhoods in Maine, we often think of sprawling lawns, wooded property lines, and not a neighbor for miles. But what do you do if you happen to have a smaller lot or share space and views with neighbors? There are plenty of planting options you can choose to create a big landscape feel, in smaller landscape footprints. Use COLOR to spruce things up and have your featured piece pop. A great place to find unique landscape focal pieces is at yard sales and flea markets. 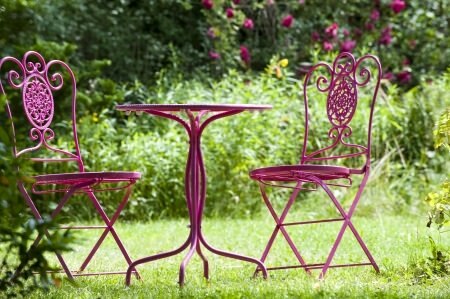 For added fun, coordinate the color you paint your focal piece with surrounding flowers. We recommend flowers that last through the season such as Endless Summer Hydrangea and Wine and Roses Weigela. They say that fences make great neighbors, but metal and/or wooden fences can make a small yard feel even smaller. Give the illusion of more space by staggering trees throughout the property line, with various heights and depths for texture. 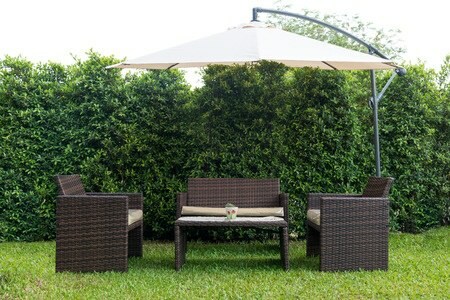 You can also use tall flowers to create little nooks in your own outdoor oasis – places to read, nap, and enjoy birds and wildlife. Sunflowers, echinacea and gerber daisys are amongst favorites. 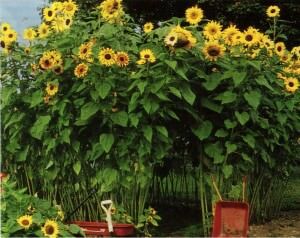 Added value – you will also attract birds and pollinators to your yard. Need help with your Urban Oasis Garden Design? Contact Us Today!